At the newly designed Ziegfeld Ballroom in New York City, the National CARES Mentoring Movement presented its third annual For the Love of Our Children Gala on Monday, January 29th. A night filled with honor, knowledge, and excellence featured a special performance by the event’s Honorary Chair, Grammy Award Winner Maxwell, and hosted by award-winning broadcast journalist Tamron Hall, and best-selling author and professor Dr. Michael Eric Dyson. The event was co-chaired by director and producer, Crystal McCrary and Citigroup’s Global Head of Corporate & Investment Banking, Raymond J. McGuire. 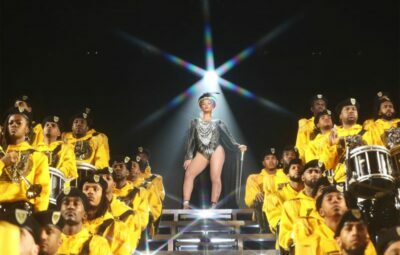 With influential black stars like Cicely Tyson, Maxwell, Jussie Smollett and more, the event definitely showed what the epitome of black excellence and black unity really is. There was a warm welcoming atmosphere as soon as you stepped into Gala. This fundraising event left me and others with an unexplainable source of knowledge and inspiration. The National CARES Mentoring Movement – founded as Essence CARES in 2006 by Susan L. Taylor, now Editor-In-Chief Emerita of Essence magazine – is the only organization working nationally to holistically advance Black children whose lives have been disrupted by systemic under-resourcing and extreme poverty. This organization is crucially important when it comes to teaching our black youths about unity, self-love and showing positive black leaders. The gala is held each year to raise critical funding needed to build the infrastructure for scaling and replicating the organization’s life-transforming initiatives across its 58-city CARES affiliate network. Local CARES affiliates have trained more than 140,000 mentors who serve more than 200,000 children throughout the nation. National CARES is poised to sequentially roll out its consciousness-shifting, whole-school, group-mentoring programming alive now in four states. The 2018 National CARES gala celebrated three honorees who continue to inspire communities and activate change through art, ministry, and advocacy work on behalf of people who have been harmed and marginalized. The 2018 honorees are Emmy-winning, and Academy Award- and Golden Globe-nominated actress Cicely Tyson, who at 93 is continuing to deliver bold and empowered characters on stage and screen; North Carolina-based minister and NAACP leader, Reverend Dr. William J. Barber II, who led the “Moral Mondays” movement that disbanded the super majority in North Carolina that was responsible for some of the state’s most regressive legislation in decades; and Tarana Burke, activist and arts curator who created the ‘Me Too’ campaign in 2007 to support and heal girls and women who have experienced sexual violence. Her irrepressible work over a decade sparked today’s global movement that is empowering women to acknowledge past sexual harassment and abuse without fear or shame. Since 2006, National CARES has recruited, trained and connected more than 200,000 caring mentors to local youth-serving programs in 58 U.S. cities from Seattle to South Florida, San Diego to Boston. Funds raised at this year’s gala will directly support these efforts and other programs, including The Rising: Elevating Education, Expectations and Self-Esteem, University for Parents and The HBCU Rising, a program that mentors middle-school children in STEM and literacy and prepares college students for career success. Support will also facilitate the continued expansion of the organization’s University for Parents, which provides holistic life-management and work development training’s for impoverished parents. National CARES Mentoring Movement gratefully acknowledges the generous support of its sponsors for helping to make this year’s gala event possible, including Presenting Sponsors AARP, AT&T, Essence, FedEx Corporation, SheaMoisture, Hope and Robert F. Smith Family; Gold Sponsor, Casey Family Programs; Silver Sponsors: ADP, Bank of America Merrill Lynch, Campaign for Black Male Achievement, Chick-fil-A, Delta Air Lines, Fannie Mae, Leslye and Darryl Fraser, KeyBank, Crystal McCrary & Raymond J. McGuire, Merck & Co., Inc., Nationwide, Prudential Financial, Larry Satterfield and Sabir Ward, Viacom and BET Networks; and Bronze Sponsors: American Urban Radio Networks, BNY Mellon, Julia Brown, Colgate-Palmolive Company, Comcast-NBC Universal, Georgia-Pacific Foundation, Marshalling Resources, LLC., Morgan Stanley, Oracle, Kathy and Armando Seay, Lu-Shawn M. Thompson. For more information about the National CARES Mentoring Movement, please visit www.caresmentoring.org.